Our team members are the heart of what makes Seaport distinctive and while you may be familiar with some of them, we would like to introduce you to others you may not know as part of #sayhello! Melissa is a wedding specialist here at Seaport and although she’s been with Seaport since 2008 planning corporate events, she was thrilled to join the wedding team recently. She loves being able to work with couples to celebrate one of the most important days in their lives. She takes great pride in her work, often behind the scenes, to create memorable moments for our couples, their friends & families. 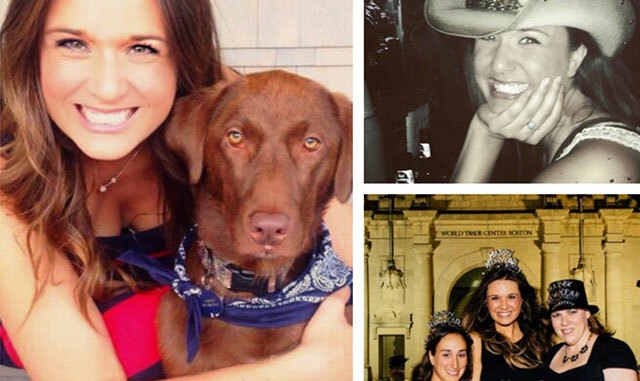 When she’s not planning weddings, she’s spending time hiking with Hunter, her chocolate lab mix, traveling (next up: San Francisco and Napa Valley in October! ), listening to live music (country is a favorite) and spending time with her family and friends.